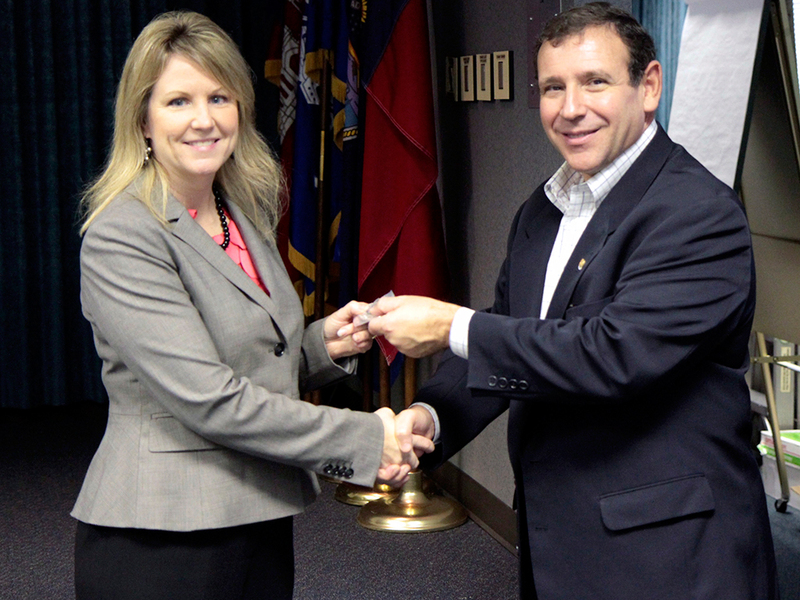 The Society of American Military Engineers-Tulsa Post recently recognized Garver Regional Marketing Administrator Cindy Gran for her achievements and numerous years of service to SAME. SAME Texoma Region Vice President Greg Kuhn presented Cindy with a distinguished RVP coin in recognition of Cindy’s outstanding and continual active efforts supporting not only the Tulsa Post but also the Oklahoma City and newly established Wichita Mountains Post in southwest Oklahoma. Cindy sits on the Tulsa Post Board as the 1st Vice President. Previously, she served as Newsletter Editor and Chair of the Communications Committee, and also, Programs Committee Chair. The Society of American Military Engineers' mission is to promote and facilitate engineering support for national security by developing and enhancing relationships and competencies among uniformed services, public- and private-sector engineers and related professionals, and by developing future engineers through outreach and mentoring. For more information, see www.SAME.org.